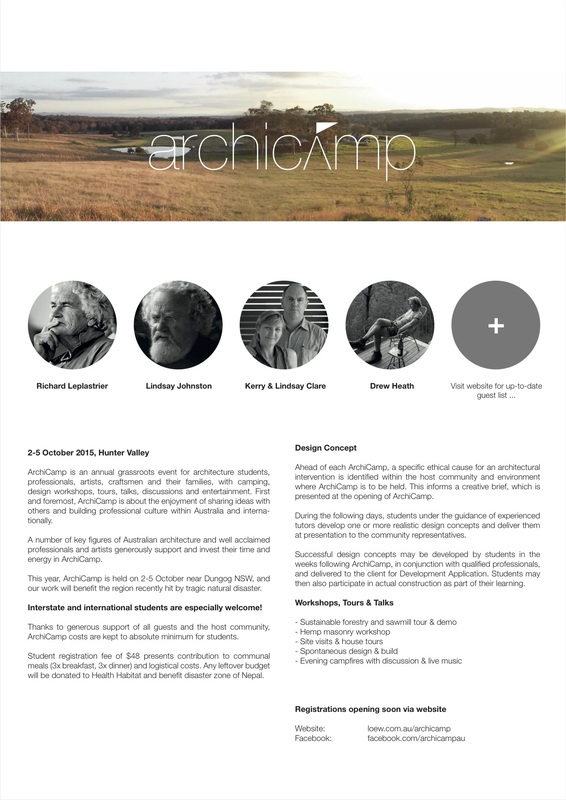 ArchiCamp is an annual grassroots event for architecture students, professionals, artists, craftsmen and their families, with camping, design workshops, tours, talks, discussions and entertainment. First and foremost, ArchiCamp is about the enjoyment of sharing ideas with others and building professional culture within Australia and internationally. 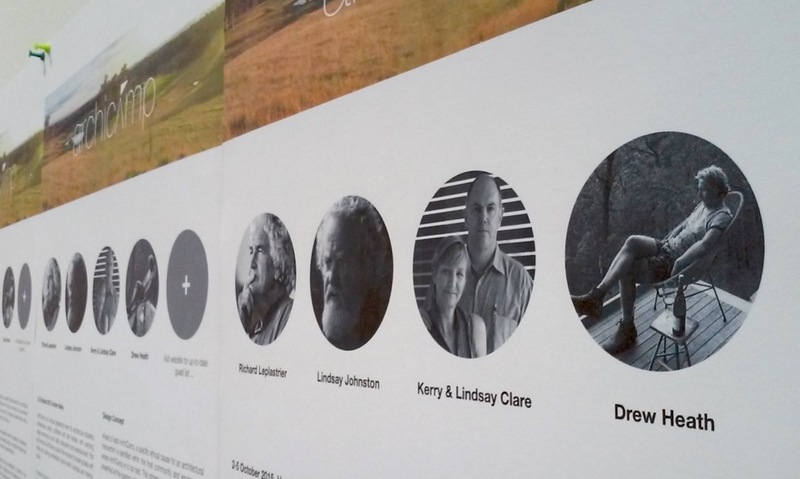 A number of key figures of Australian architecture and well acclaimed professionals and artists generously support and invest their time and energy in ArchiCamp. This year, ArchiCamp is held on 2-5 October near Dungog NSW, and our work will benefit the region recently hit by tragic natural disaster. Interstate and international students are especially welcome! Thanks to generous support of all guests and the host community, ArchiCamp costs are kept to absolute minimum for students. Student registration fee of $48 presents contribution to communal meals (3x breakfast, 3x dinner) and logistical costs. Any leftover budget will be donated to Health Habitat and benefit disaster zone of Nepal. Ahead of each ArchiCamp, a specific ethical cause for an architectural intervention is identified within the host community and environment where ArchiCamp is to be held. This informs a creative brief, which is presented at the opening of ArchiCamp. During the following days, students under the guidance of experienced tutors develop one or more realistic design concepts and deliver them at presentation to the community representatives. Successful design concepts may be developed by students in the weeks following ArchiCamp, in conjunction with qualified professionals, and delivered to the client for Development Application. Students may then also participate in actual construction as part of their learning.